Welcome to Dancing Paintbrush Studio’s Award winning Summer Art Camp Program! 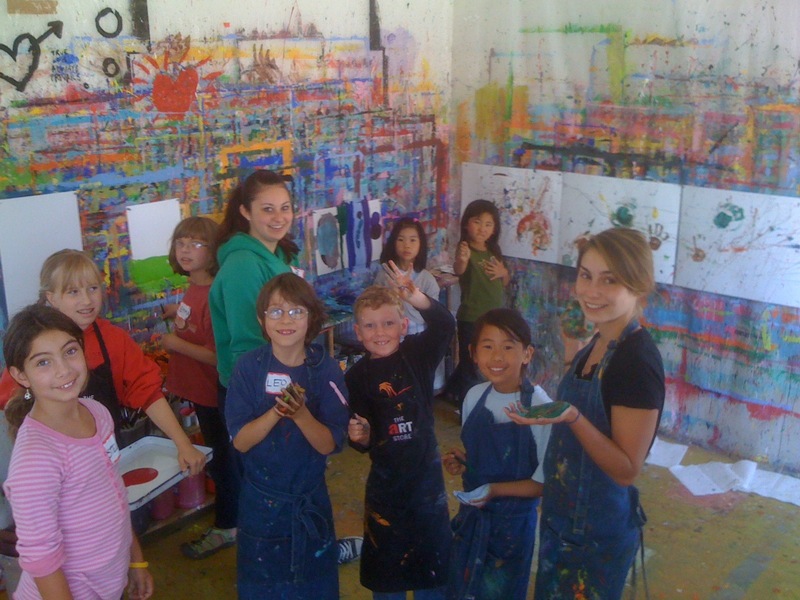 We provide week-long summer art camps for students ages 5-17. We demonstrate a variety of materials and techniques to nurture artistic development. We also provide lessons on color theory and famous artists in art history, go on field trips, and host special guests to spark the creative process. We wholeheartedly encourage individual exploration of personal themes and interests. And we value working together and sharing ideas. We limit each summer camp session to 15-20 students, to guarantee individual attention to each student. Art-making provides building blocks to problem solving, promotes risk taking, and encourages creativity, and develops self-esteem. Our goal is to provide the materials, structure, and guidance to spark creativity in each child, allow them to explore and investigate their own ideas, and have lots of fun in the process. Our philosophy is to encourage students to explore and express themselves with an emphasis on process over product without judgment, comparison, or criticism. We limit each summer camp session to 12 students, to guarantee individual attention to each student. All art materials are child-safe and non-toxic. Camp runs from 9am to 3pm each day, with before camp available from 8-9am and after camp from 3-5pm ( $15/ hour). No After camp on Friday; camp ends at 3pm. Drop-in days are also available. Please call 24 hrs in advance, (510) 604-0036.